A SEARCH IN connection with the disappearance of Trevor Deely is set to resume in Dublin today. Gardaí began searching a woodland area in Chapelizod on Saturday. 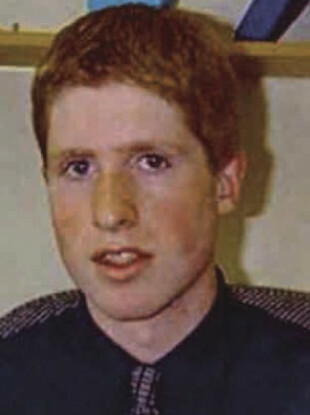 Trevor, from Naas in Co Kildare, was 22 when he went missing after attending a Christmas party in Dublin city in December 2000. He was last seen on CCTV footage that showed him crossing Baggot Street Bridge and walking towards Haddington Road in Ballsbridge. A cold case review was begun by gardaí in December, with witnesses being re-interviewed. A fresh appeal was issued in April and gardaí released digitally enhanced VHS footage taken on the night of his disappearance. On Saturday Detective Inspector Paul Costello said gardaí had begun the search as a result of new information they obtained. He said this information was not related to the appeal in April. We’re at the very early stages of the search. As it develops we’ll keep an open mind about what we find and don’t find. Costello added that he believes this is the most significant search operation to be carried out in the investigation to date. Email “Gardaí resume search in Trevor Deely investigation”. Feedback on “Gardaí resume search in Trevor Deely investigation”.